Great investment opportunity with tremendous upside potential on future rent increase. 3372 sf. 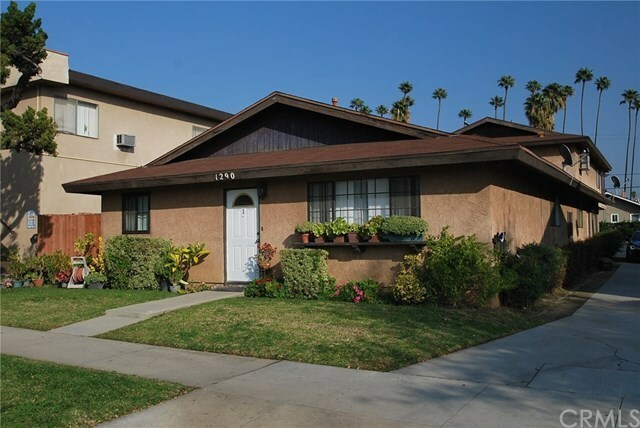 Triplex on a 9000 sf lot, built in 1981 at the edge of beautiful N. Azusa. Spacious units, all are 2 bed and 2 bath. Two of the units are one story ground level. Unit 1 faces the street & rents for $1650 per month, since August 2017. Unit 1 has new wood floors, dishwasher and stove. Both baths were redone appx 5 yrs ago. Unit 2 shares one wall w/ unit 1 & rents for $1550, they are a long time section 8 tenant, since May 2008. Unit 2 is mostly original condition. Unit 3 sits above the 5 one car garages & has a private balcony facing the common lawn area w/ fruit trees. It rents for $1600 since Oct 2011. Unit 3 has upgraded bathrooms appx. 5 yrs ago. Each home has a one car detached garage. 2 additional garages are used by the owner & or long time renter that is off premises and pays $250 per month since 1991. The two ground level units have their own private fenced patio areas. All units if updated should easily command $1900 per month as they are appx. 1125 sf each. All units have newer central air and heat along w/ interior laundry hook ups. The 2 extra garages should rent for roughly $150 to $250 per month each. Interior inspection upon acceptance of an offer. All units have individual electric & gas meters. Composition shingle roof. The landlord pays the water bill. Walk to Canyon Park at Sierra Madre and San Gabriel Rd. or to the Target store to the south. Directions: South of Sierra Madre, West of Azusa Ave.